By Okey Onwugbonu This is the concluding part of the write up –‘Who are these Eagles’, if you have not seen the part one you can read it up here. We focused on Eagles goalkeepers and defenders earlier, now it’s time to look at the midfielders and attackers. At just 21, Ndidi is a super regular for both club and country. Since winning his first cap as an 18 year old for the Eagles - a 7 minutes cameo appearance under coach Sunday Oliseh in October 2015, the Leicester City anchor man has amassed 17 caps. A very composed player that can shoot with either foot from range, take long throws, though a bit rugged and robust when seeking the ball – an act that leads to needless cautions sometimes. He is also technically gifted and his interceptions and tackling rate are second to none in the team. He is a sure starter in Russia after overcoming his injury woes and putting up a confident performance against Czech Republic. 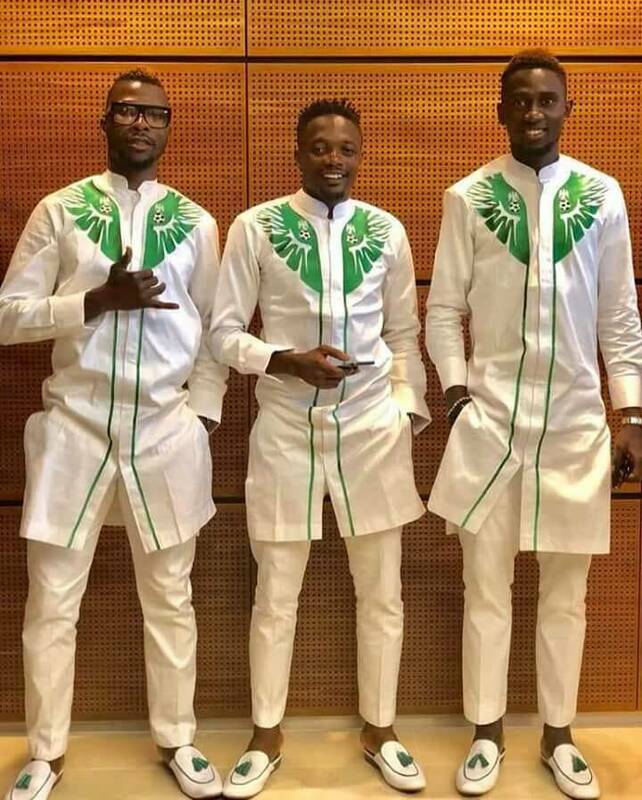 Onazi received some lashing from unforgiving Nigerian fans over his atrocious performances in games against the DR Congo and England. A fan described him as ‘matter’ that only occupies space and many more asked that he be axed from the team. But as vice-captain, AFCON winner and arguably Eagles best performer in Brazil 2014, Onazi comes with a bag full of experience. He is comfortable as a central or defensive midfielder and on his day he is a very good tackler and can pick a pass. The Trabzonspor midfielder has won 48 caps for the Eagles scoring once and bagging three assists. This is one player that has been really unlucky when it comes to the National team, no thanks to nagging injuries. Touted as perfect fit for the attacking midfield role in the team as replacement for captain Mikel Obi, Joel Obi has never lived up to his hype. With a low center of gravity the Torino midfielder has good control, can take on players and can pick a pass between opposing full backs and center backs. Although he has not really brought his A-game to the team. Since earning his debut as a 19 year old under Samson Siasia in 2011, the 26 year old has accumulated only a meagre 12 caps with no assist or goal to his name. The World Cup would be an opportunity for a comeback so far as he grabs the opportunity when it beckons. Etebo can be described as an energetic box to box midfielder who can support the defensive and attacking play of the team. The 22 year old is recently signed for Stoke city in the English championship after playing on loan for relegated Las Palmas in the Spanish La Liga for the later part of the outgone season. With a lot of years ahead of him, Etebo can help the team coming in from the bench to shore off the midfield as he did in the game against England, but will not be awed if given a starting berth. The Jos born midfield maestro at 31 is the oldest player in the team and the leader of the pack; others would look to him for inspiration. Mikel has ruffled shoulders with the best there is at club level with former side Chelsea and should not be petrified coming up against Croatia’s Modric or Argentina’s Messi. Mikel is the team’s best passer of the ball and he is second to none in holding off play, comfortable in any midfield role and he can also get an odd goal himself, accounting for 18 goals – 6 goals and 12 assists in his 83 caps; an indispensable asset to the team. Nigerians will be hoping that his killer passes bear fruits if the Eagles are to soar beyond the group stage. This 6ft6inches tall Crotone striker popularly referred to as Simmy is a clear definition of a gate crasher. His first invite to the Eagles was as part of the 30 man provisional squad to the World Cup and just one friendly game later: he is on the plane to Russia. He is a like for like replacement for main striker Odion Ighalo and possesses remarkable skills and off the ball positioning. With 7 goals in 23 Serie A games for Crotone, Rohr’s battling ram will have to do justice with the little time he’d be presented with in Russia. Austin “Jay Jay” Okocha’s nephew is proving to be a real asset to the Super Eagles. 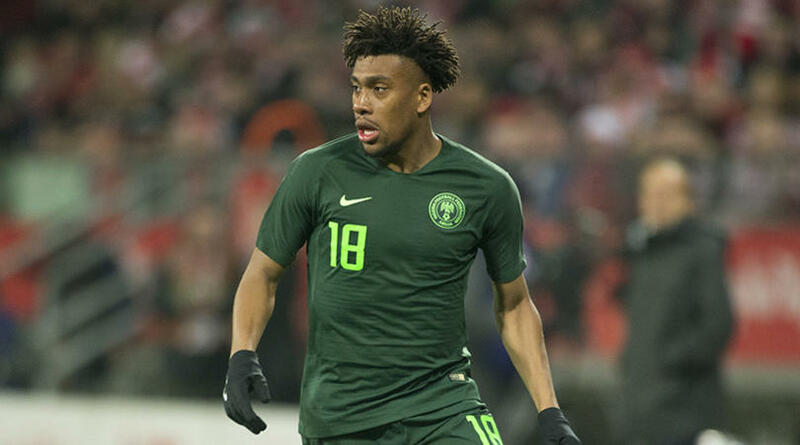 Many Arsenal supporters feel that he is more committed to the Nigerian course as he is an entirely different player when putting on the Green and White for the Eagles. Iwobi versatility will come in handy either as a winger, attacking midfielder, deep lying play maker or even as a wing back. The former English youth prodigy has proven to be one for the big occasion after scoring in big games versus Argentina and England. The 22 year old is fast, skillful and a good team player. He is a certain starter in Russia. Ahmed Musa holds the enviable record as the only Eagles player to score a brace at the World Cup after he scored twice in the 3-2 loss against Argentina in Brazil 2014. The Leicester City forward on loan at Russia’s Locomotive Moscow has lost his starting place in the team but would hope to replicate his 2014 form when called upon. Musa can play on the wings and as a striker with his main asset being his pace. The Leicester City forward has the best scoring ratio in the Eagles team after finding the back of the net 8 times in 15 games. Iheanacho who can play as a center forward, support striker, attacking midfielder and on the wings, was heralded as the poster boy for the Eagles after his exploits in the Under 17 led to his signing for Manchester City. Lack of game time and loss of form has seen him drop down the pecking order in the team, so we’d expect him to come in from the bench during the Mundial. Iheanacho possesses a poacher’s instinct with deft touches and skills to go with it. Ighalo is the man saddled with the task of getting the goals for Nigeria at the World Cup but sadly he has not been raking in the goals with his last coming in the game against Cameroun. Ighalo was a late arrival to the National team making his debut at 25 in 2015, he has gone on to make 17 appearances for the Eagles scoring a paltry 4 goals, failing to score in his last 6 games. The Changchun Yatai striker is most times left isolated in the team and to bring the best out of him the Eagles may have to play to his strengths, which is having a support striker. His positioning is superb and so is his shooting but the team must look out for his runs while Nigerians pray that he gets a bit lucky in front of goal. Moses can be seen as Eagles poster boy especially playing as a regular for a top club like Chelsea. Playing as wing back at Chelsea has horned his defensive skills and he has brought that to bear in the Eagles. Moses is fast, skillful, a good tackler and a threat from dead balls. Comfortable on the wings as a winger or wing back, Moses also contributes his fair amount of goals having found the net 11 times in his 32 caps. For the Super Eagles to do well at the Mundial, Victor Moses is one player that must bring on his A-game.